David Lehman’s New and Selected Poems (Scribner 2014) is released today. 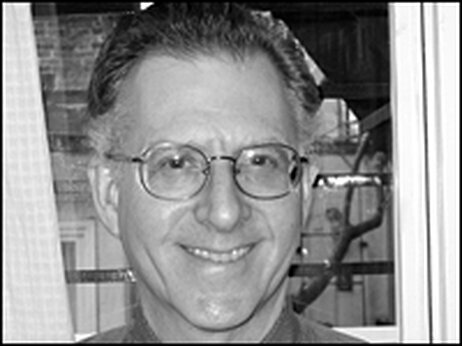 ction book A Fine Romance: Jewish Songwriters, American Songs (Schocken, 2009); he also wrote and designed the traveling exhibition based on the book, which visited 55 libraries in 27 states in 2011 and 2012. Among Lehman’s other books are a study in detective novels (The Perfect Murder), a group portrait of the NewYork School of poets (The Last Avant-Garde), and an account of the scandal sparked by the revelation that a Yale University eminence had written anti-Semitic and pro-Nazi articles for a leading newspaper in his native Belgium (Signs of the Times: Deconstruction and the Fall of Paul de Man). He teaches in the graduate writing program at the New School in New York City. We go Behind the Sestina to talk to Lehman about his two sestinas, “The Old Constellation” and “Operation Memory,” both featured in The Incredible Sestina Anthology. Can you walk us through the composition of “Operation Memory”? I love how it juggles genre fiction conventions–I see film noir, science fiction, even some Dante’s Inferno–with a narrative. Where did you get this idea for “Operation Memory”? Were there any specific inspirations that you remember? I wrote “Operation Memory” on my thirty-eighth birthday: June 11, 1986. Although I love the sestina form, I did not realize I was writing one until the first six lines were written. When I read them over, they seemed to form a sestina stanza, and the end-words looked promising. Nine years earlier I had written a sestina called “The Thirty-nine Steps,” which my friends and I thought was my best effort at the form. In the back of my head lurked that earlier poem, the end-words of which included the antithetical “youth” and “age.” So the not-so-secret agenda of “Operation Memory” was also time, change, and the feeling of getting older (a feeling even a young man can have). What keeps you coming back to the sestina? I love the sestina. When I discovered the form, I was a Columbia freshman, and it seemed to me brilliantly exotic. It was very old, very esoteric, and somehow ultra-new. I liked the way the sestina looked on the page, and I found the secret of its composition easier to master than I anticipated. The sestina looks complicated but the end-words have a way of directing you, and if you keep your eye on them – and on the immediate task of writing lines – the poem will get written. To write a sestina is to solve a puzzle of your own making. Writing the sestina ngets you, the author, out of the way; you’re too busy solving the puzzle to mess up the poem. There is a deep underground relationship between poetry and numbers just as there is a relationship, less buried, between music and mathematics. Fourteen is the perfect number of lines for a certain kind of utterance; the fourteen-line poem possesses attributes missing in poems two lines longer or shorter–as you’ll see if you attempt to do the work of a sonnet in twelve or sixteen lines. Well, thirty-nine turns out also to be a magic number. The six end-words, repeated in the prescribed way, return in their original order; the wheel comes full circle, and the three-line envoi that ends the poem should hit us with the force of a revelation. All of this is, I think, implicit in the form itself. And you need not think about any of it while you are writing. In fact it would be harmful to your writing if your head were full of theories. The best sestinas are exercises in poetic logic, in the making of an argument as in an essay but with limited means. That is their glory. 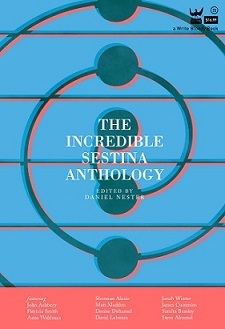 The sestina rewards the poet who thrives on wordplay. That is its pleasure. The pleasure is contagious. You’ve written so many fine sestinas, including couple collaborative efforts. Can you tell me a little about your collaborative sestinas? Jim Cummins is a master of the form, and his Perry Mason sestinas greatly impressed and inspired me when I read them back in 1986, long before Jim and I met. I’m pretty sure I wrote about the book, The Whole Truth, in Newsweek. Years later Jim and I met at a reading, had drinks and dinner, and became friends. He wrote a sestina in which one of the end words was “Gary Snyder” and I liked the idea and what he did with it so much that I promptly copied it and produced a sestina – dedicated to Jim – in which the end words were Walt Whitman, Ted Berrigan, Anne Sexton, Philip Levine, Marvin Bell, and a variable. Around this time – 1995 or ’96 — Jim and I started to exchange sestinas, each one trying to outdo the other in some way but also conscious of achieving a deep rapport. The idea of our doing a book together seemed to follow naturally from what we were doing. It was Jim who wrote a wonderful series of sestinas in which these two characters, Jim and Dave, have adventures in poetry and in the greater world. I tried my hand at writing one in this genre. And we collaborated on sestina, trading stanzas, more than once — it seemed like a very natural, very friendly thing to do. 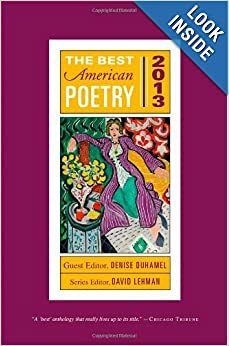 This entry was posted in Uncategorized and tagged best american poetry, David Lehman, jim cummins, operation memory, Poetry, Sestina, The Incredible Sestina Anthology, the old constellation. Bookmark the permalink.